What is the Cost of Diabetes and Can You Reverse It? Have you noticed the rising price of drugs or treatments for your family? My client Rachael* noticed. She saw family suffer from high blood sugar as a child. She saw aunts, uncles, cousins, and neighbors take insulin shots and daily medication. Rachael reminds me that not everyone has a doctor or can afford insurance or medication. Her prediabetes gets worse as the damage inside her body spread. Let’s start at the beginning. The cost of diabetes depends upon where you live and how you’re insured. Because of these variables, when it comes to treating chronic conditions like diabetes (Type 1, Type 2, Prediabetes) it’s important for you to understand your options before you decide on the next step. The urge to take a pill to solve an illness is strong in many cultures. We’ve all seen the drug advertisements on television. They show us a pill for high blood sugar or insulin resistance and tell us it has manageable side effects. There are, at the time of this writing, 17 commonly prescribed drugs meant to help patients meet their target blood glucose levels. Are these pills a first-step fix? Have you noticed that most drug companies end their diabetes drug commercial with a list of side effects and a disclaimer? They tell us that their drug is effective “when combined with healthy eating and exercise.” That makes you wonder, doesn’t it? Maybe we do hope for a miracle…or at least an easy path forward. If we do take the magic pill, our food and activity habits won’t have to change too much, we hope. Do you believe this is true? The drug companies are banking on it. What if people are given the opposite advice? They hear: Your kind of high blood sugar is More Effectively treated with changed food and activity habits. Instead of the drug-first approach, the flipped advice is to balance blood sugar at home during a 1-year process. Could it be that the drug companies have the “cart before the horse?” Do they try to sell more medication by leading us to believe our homemade health behaviors merely support the drug treatment? The cost of diabetes and the cost of treating or reducing the symptoms of high blood sugar are big business. In an article about the cost of diabetes in Fortune in April of 2018, authors Hancock and Lucas share research about Novo Nordisk, a giant in the pharmaceutical industry. According to this resource, this firm’s product Levemir, which is a long-acting insulin, went from a wholesale list price of $144.80 per month in 2012 to $335.70 per month in January 2018. Are you ready to solve your high blood sugar this way? Will you need to invest in this drug and then still change your food and activity lifestyle in order for the drug to work? It is important to know about the difference between Type 1 Diabetes and the other types. Those with Type 1 Diabetes will likely take daily medication for the rest of their lives. Sometimes, more than one medication. Many of these people learned of their diabetes as children. Unfortunately, their diabetes is not solved with lifestyle changes. Their body simply doesn’t create the proper amount of insulin they need to survive. In full disclosure, I’m not a coach to people with this kind of diabetes. A medical team is the best resource for Type 1. And I’m not suggesting anyone with Type 1 Diabetes stop using their medication. Far from it. I urge my clients to find a doctor they trust. What has your experience been with diabetes in your life or in your family? Like my client Rachael, the current drug prices may become impossible for family members. Are you a caretaker to someone with this illness? Do you worry that with or without insurance, high blood sugar treatment is simply too expensive? Here’s what I often talk about with my Prediabetes coaching clients. Are you Ready for the Cost of Diabetes? Most of my clients do not take any diabetes drugs. They have luckily discovered their prediabetes at an early stage. They now avoid the need for medication by using homemade health behaviors and self-care. The protocol I teach in the Solution Starter Prediabetes Program has a proven ability to help people avoid Type 2 Diabetes. Some of my clients take Metformin. This is the most commonly prescribed first-line drug for people who’ve not been able to lower blood sugar with diet and exercise alone. The cost of this medication, depending upon their insurance situation, is between $4 and $100 per month. The third group of coaching clients I help is those who have no health insurance and take Metformin along with a second drug every day. They like accountability coaching about their diet and exercise because it helps them get off of one or both of their medications. It has been proven that lifestyle changes are more effective than drugs alone. These people spend between $8 and $200 each month on their meds. The last group of people seeks coaching support for diabetes on a “multi-drug” regimen. These folks are taking brand-name drugs, injectable medications, and other therapies to relieve the side-effects of a drug combination. The non-insured monthly cost for this group falls between $200-500. That is a cost of $2,400 to $6,000 each year. Additional expenses include blood testing supplies and regular doctor visits. Please be aware that it can take many medication adjustments to find the right therapy. Medication does not work for everyone. The most recent estimate from the American Diabetes Association finds that, as of 2015, 30.3 million Americans have diabetes. Because of this, many of these people will take medication for the rest of their lives. People often buy their meds but under-use them. That is to say, many people skip doses or stretch out their monthly supply by under-serving every day the prescribed amount. This kind of drug-dependent situation unfairly impacts the poor, homeless, and uninsured young adults in our communities. These people truly need a doctor who can help them be adequately medicated. And many of them need a kind coach who can help them follow-through. Type 1 Diabetes does need to be managed with a doctor you trust. These dedicated doctors understand that diabetes drugs, per person, is a higher cost than for any other class of traditional drugs. If you have seen this financial strain on the life of a loved one, as I have, it becomes even more important to help those in the early stages of this chronic illness to stay healthy. The healthier we stay and the more dedicated we are to the self-care we need, the longer we avoid the high price tag of diabetes. Perhaps you’re not the kind of person motivated by talk of safeguarding your body? Maybe your health decisions focus on convenience and affordability? To all those already diagnosed with Type 1 Diabetes, I hope you will join me in encouraging everyone to solve diabetes at the earliest possible stage. There are proven ways that those with Prediabetes and Type 2 Diabetes can–and should–avoid the progression toward drug-dependent therapies. Learn how to balance blood sugar through a healthy lifestyle and know that future cost and efforts are also reduced. Skip the possible damage to the heart and blood vessels, nerves, kidneys, eyes, and feet. Do you remember the hit movie of 1985, Back to the Future? If Marty McFly and Doc Brown had diabetes in their future, they’d surely go back in time and change the habits of their younger selves! I’m certain Doc Brown would agree–you can lower High Blood Sugar Levels at home. Holistic health coaching has many wonderful self-care practices for prevention. You want to avoid Type 2 Diabetes! In terms of dollars and cents, that could mean about $9,600** in health care savings every year. Monitor your Blood Sugar Levels: Print out a free copy of the “Starting Line” and create a record of your A1C and Fasting Blood Sugar numbers. Ask your coach or doctor questions about your blood test results over time because now it’s important to know your real situation. Prioritize Sleep and Stress Reduction: The hormones of blood sugar management trigger when we’re exhausted, in chronic drama, or overworked. When cortisol and glucagon, for instance, flow during stress, our blood sugar level rises. Skip the Deprivation Diet to Lose Weight. Many people find that their blood sugar balance requires dropping about 5% of their body weight. Because of this, they use the diet they heard gives them the fastest results. The yo-yo diet of severe calorie deficit followed by starvation-fueled overeating will not help you avoid Type 2 Diabetes. It is important that protein, fat, and healthy carbs are the focus of healthy weight loss, not just calories. Please know that Calories In vs Calories Out is no longer the science-accepted method for sustainable weight loss or management. Drink More Water: Dehydration can raise blood sugar levels. For instance, cool, clean water has a direct impact on blood, blood circulation, and how we clear toxins. Find Activities you Enjoy: Regular exercise I enjoy may sound awful to you! It’s important to find sustainable-for-you ways to move more. Options like stretching, walking in fresh air instead of sitting/driving, or hundreds of other options you choose, can increase insulin sensitivity. Regular exercise can help us to manage our weight and the way our body naturally uses insulin. Your doctor may tell you to bring a 15-gram snack to every active part of your day. For some people, new kinds of exercise can cause their blood sugar level to go down quickly. Your healthy snack helps if that happens to you. Understand Carbs and Find Your Hero Carbs: The habit of eating processed foods with junk-quality carbs is a big cause in creating high blood sugar. Yet, balancing blood sugar sometimes requires specific kinds of carbs to lift a low blood sugar experience. Understand what a portion of healthy food containing 15 grams of carbs looks like***. After learning that, the nutritional content of favorite foods is a holistic health starting point. Find Support and Give Support: Maybe this is just the beginning of your diabetes learning curve. Is it time for you to learn more? In particular, your neighborhood or larger community may have prediabetes educators and classes to help you fill in the blanks. You can also receive support from coaching experts online. This is very useful for those who do not have access to community resources or do not have a doctor who offers coaching support for food and activity habit change. A classmate of mine is a very practical woman from the country. She and her siblings grew up in rural Georgia and as a result, know hard work. On the day in school that we talked about the cost of watching her prediabetes progress into Type 2 Diabetes, her work ethic became very clear to me! It still puts a smile on my face. She quickly realized she’d save thousands of dollars each year by changing her habits at home instead of asking her doctor to “fix” her. 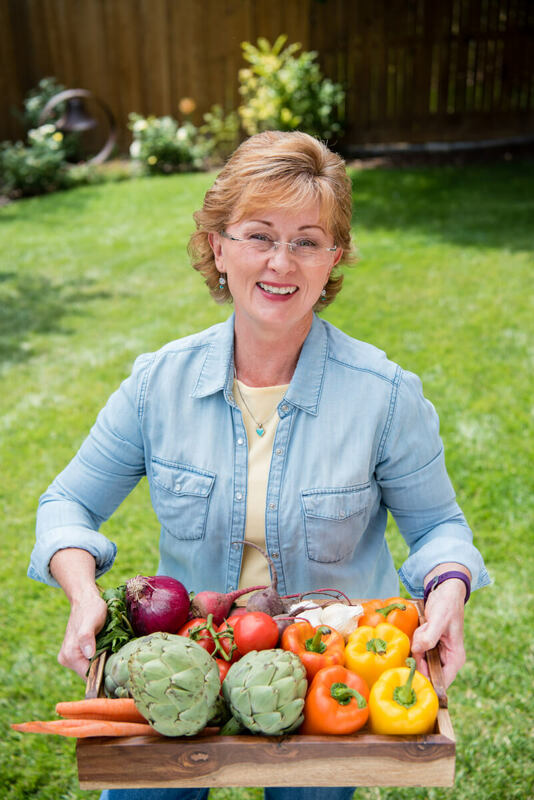 Because of her approach and dedication to self-care, she balanced her blood sugar to avoid type 2 diabetes–without a big price tag. I hope that her example encourages you, as it did me, to never underestimate the power of self-care. ***I invite you to grab your copy of the “Crash Course on Carbs: A FREE Mini-Course in the Holistic Health Way to Balance Blood Sugar.” Click this link for your easy download today!